Looks like all that speculation surrounding Samsung’s strategy to try and counter iPhone launches by holding its Galaxy Note and S6 Edge Plus launches earlier was right on target. The Korean manufacturer has just sent out invites for its next Unpacked event, and just like we’ve been telling you, Samsung next big event will be held on August 13th. 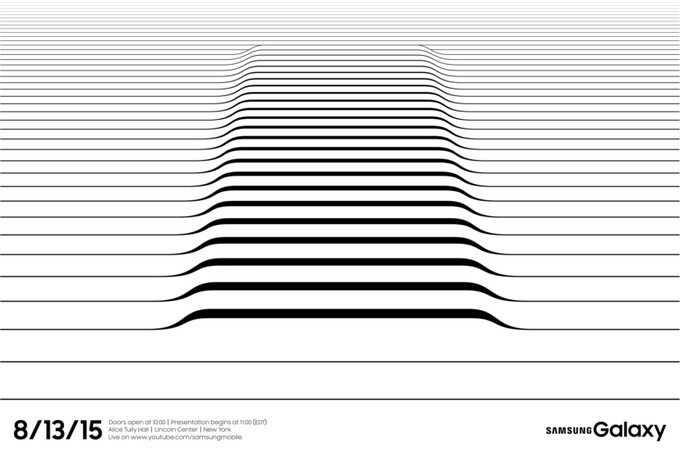 Samsung’s invite for its August 13th event, which can be seen above is rather simplistic in nature. If our guess is correct, then the invite above confirms that August 13th should see the launch of the Galaxy S6 Edge Plus by Samsung. The device has been the feature of several news pieces for quite a while now and looks like we’ll see it sooner than later. 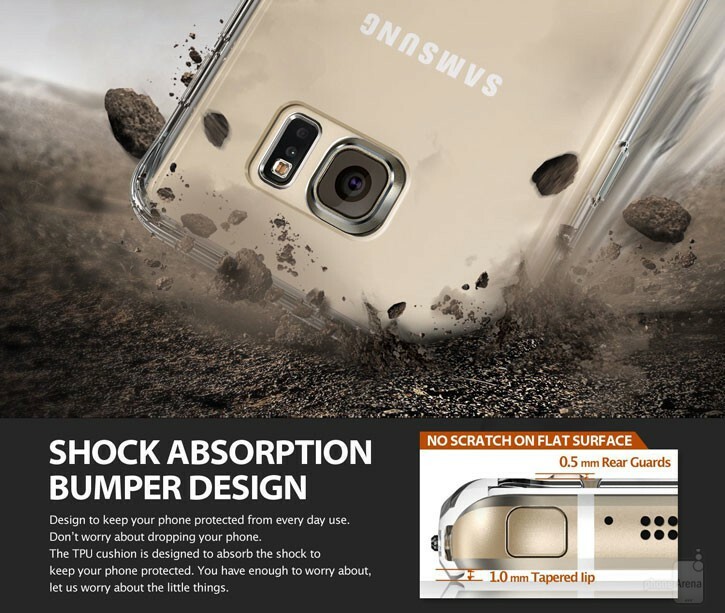 We’ve seen numerous case render leaks of the Galaxy S6 Edge Plus so far which give us a fair idea of what to expect on the device as well. Aside from the Galaxy S6 Edge Plus, Samsung’s also expected to unveil the Galaxy Note 5 this August. The Note 5 is expected to see quite a few changes from previous Note launches. The first and most evident of these is that Samsung just might launch the device before IFA takes place in Berlin this year, which would be a departure from the company’s previous traditions. Besides this, the Samsung Galaxy Note 5 is also expected to come with an all metal body, which will eliminate the long held removable battery feature found on the device, which many users have grown to love. But since the launch of the Galaxy S6 Duo earlier this year, Samsung’s gone fully metal folks, and this change appears to be here to stay. 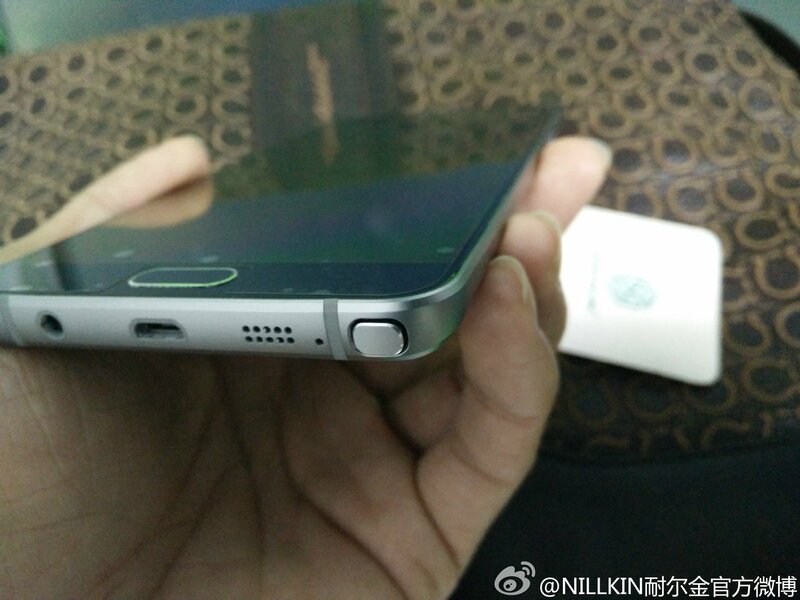 You can take a look at some freshly leaked images of the Galaxy Note 5 which show the stylus and other ports on the device’s bottom. 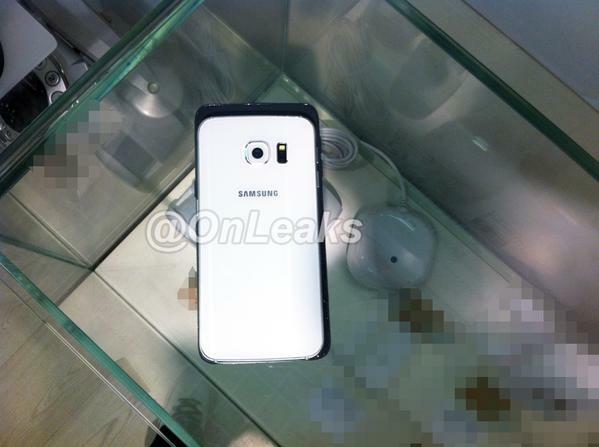 Some images allegedly depicting the Galaxy Note 5. Specifications wise, both the Galaxy S6 Edge Plus and the Galaxy Note 5 are expected to be similar in a lot of ways. Starting from the processor, both are expected to be powered by the company’s home grown Exynos 7420 Octa, which can rightly be said to be one of the mobile industry’s top performing SoCs, partly due to the fact that its the first mobile processor to be manufactured on the 14nm FinFET process. Both the devices are also expected to come with 5.7 inch screens, 4 GB of RAM to support the Exynos and 16 MP rear cameras. But unlike some rumors which surfaced early on, the Galaxy Note 5 will not be coming with Samsung’s unique curved display. This feature seems to be reserved for the Galaxy S6 Edge Plus only, which is funny given the fact that last year’s Note 4 Edge was the first Samsung device to introduce the feature to its customers. Aside from these differences, and the fact that the Note 5 will also be coming with a stylus, its also expected to come featuring a 5MP front camera. This camera sensor is in fact the same sensor already found in the Galaxy S6, as we have told you earlier. The Note 5 is also expected to be just 6mm thick, which will make it one of the thinnest Note device which Samsung has unveiled. The source of this information are some really authentic looking renders, one of which you can see below. Coming towards the Galaxy S6 Edge Plus‘ design, Samsung’s larger variant of the Galaxy S6 Edge launched earlier this year has seen lesser attention when compared to its Galaxy Note cousin. Starting from its design, the Galaxy S6 Edge Plus is not expected to feature any major design departures from the S6 Edge. This comes courtesy of some case renders as mentioned above. In fact, aside from some slight dimensional changes, the Galaxy S6 Edge Plus will be almost identical to the S6 Edge, which should be given since its a larger iteration of the same device. But while we have seen little on its design so far, that does not mean the S6 Edge has not seen its fair share of rumors and speculations either. The majority of information which has surfaced about the device has been related to its performance and benchmarking results; and its quite a lot. In fact, from early on the Galaxy S6 Edge Plus was reported to be coming with Qualcomm’s Snapdragon 808, the same processor adopted by LG for its G4. This was expected to bridge some of the gaps which had started to occur between the two manufacturers after Samsung launched the Galaxy S6 Duo with its own Exynos 7420, and chose to skip Qualcomm’s Snapdragon 810; an SoC now notorious for its overheating issues. The device is also expected to come with a hefty battery of 3000 mAh, which should already help those who require the most out of their devices. The Galaxy S6 Edge Plus is expected to measure 151 mm tall and 73 mm wide, with a display measuring either 5.4 or 5.7 inches, 32 GB of internal storage and rear and front cameras of resolutions 16 and 5 MP. 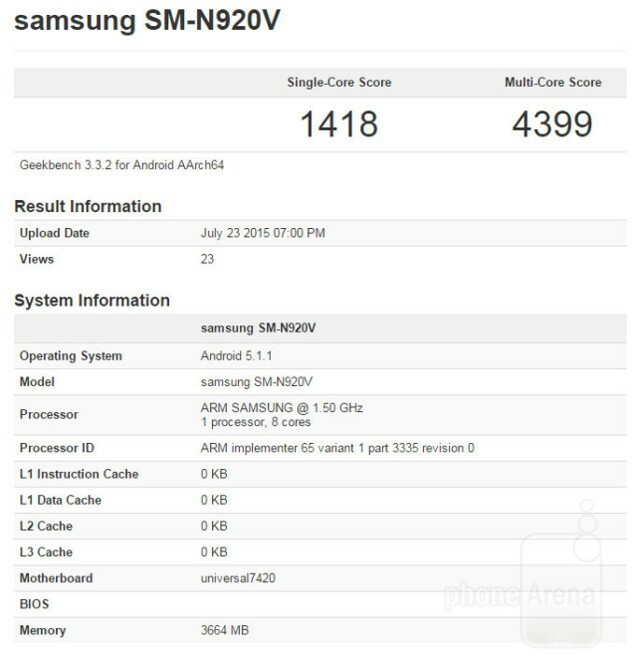 But as of now, we’ve started to see some benchmarks showcasing the Exynos 7420 on the device. So which device takes the crown? Our vote goes to the Galaxy Note 5, since its the latest version in Samsung’s much coveted phablet series. And with a metal design, the Exynos 7420, reduced thickness and improved rear camera, we really couldn’t ask for anything more on the Note 5. That is, except the Exynos 7422 that the device was expected to come with earlier. 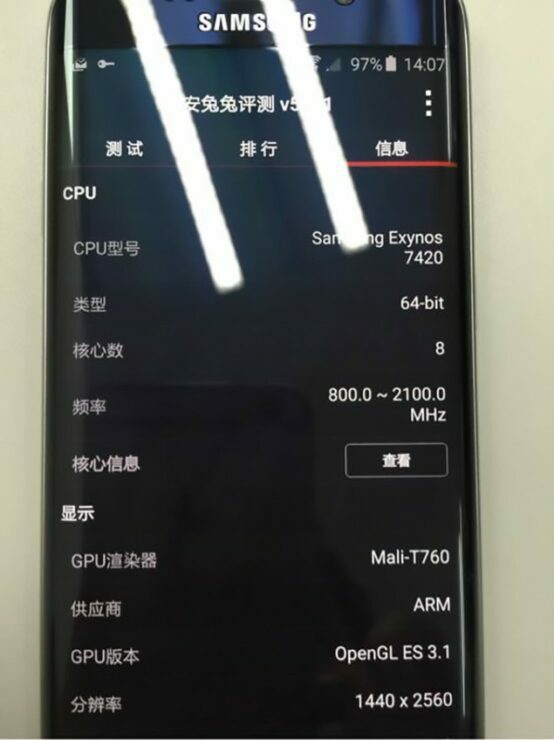 The Exynos 7422 was rumored to be Samsung very own All In One processing solution, and combine the GPU, CPU,RAM and Storage onto a single chip. But we guess that was just some wishful thinking. Both the Galaxy Note 5 and the Galaxy S6 Edge Plus offer some great upgrades to Samsung’s devices. And if the Korean manufacturer chooses to launch the GalaxyS6 with the Snapdragon 808 after all, then it’d be interesting to see its performance compared to the Exynos 7420; though we’d expect the Exynos to take the higher place anyways. It would however mean that next year’s Galaxy upgrades could come with the Snapdragon 820, as it’s already been rumored that the Galaxy S7 is being tested with the Snapdragon. So stay tuned folks, Samsung’s unpacked event will be with us soon and let us know what you think in the comments section below.